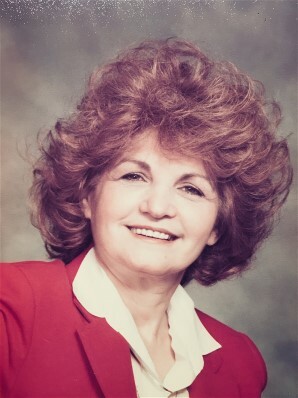 Obituary for Pauline (Pottios) Braden | Thompson-Marodi Funeral Home, Inc.
Catherine “Pauline” Braden, age 88, formerly of Ellsworth, Pennsylvania, passed away on November 21, 2018. Pauline was born November 15, 1930, one of nine children, to the late Peter Pottios and Anna Babirad Kuhran Pottios. She lived her life in Van Voorhis and Ellsworth. She was a retired restaurant manager for the Bentleyville Truck Stop. In addition to her parents, she was preceded in death by her husband Ted Braden, who died June 21, 2007; four of her siblings, Rose Petrosky, Frances Biddle, John and Harry Pottios and one grandchild, Candice Freeman. She is survived by her four children, Connie (Daniel) Freeman, Marion Carmella, Noreen (Kirk) Adams and Camille Ross (Adam) Allansson; five grandchildren, Clint Freeman, Amy Adams, Matthew Adams, Bethany Carmella and Ryan Ross; two great grandchildren, Austin Freeman and Isabella Giovanardi and her four remaining siblings Emily Gazi, Raymond Pottios, Myron Pottios and Mickey Bitsko. Friends are welcome from 2 to 6 p.m. Monday, November 26, 2018 at the Thompson-Marodi Funeral Home, Inc., 809 Main Street, Bentleyville, 724-239-2255. Her funeral service will be held at 4 p.m. with the Pastor Robert Menges, officiating. Following the visitation, the family invites everyone to join them for dinner and fellowship.